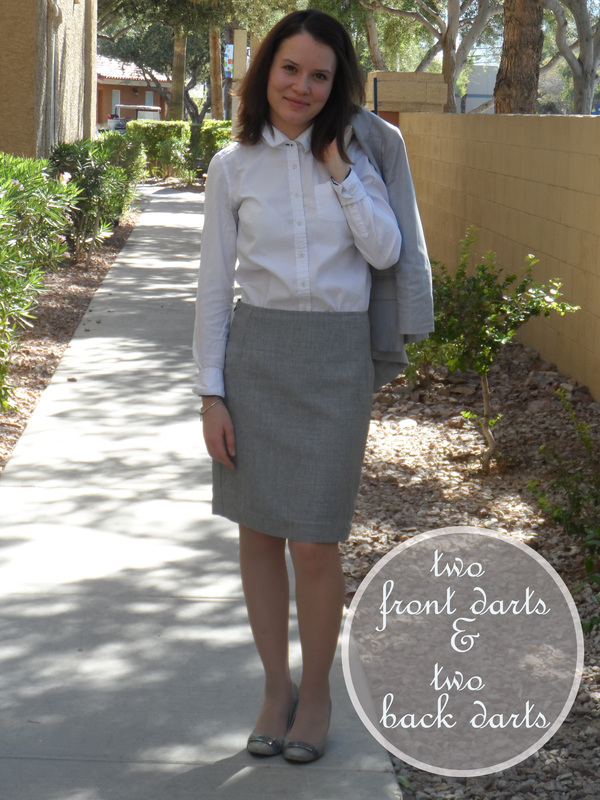 Sewing 101: Pencil skirt – Go ask Alisa – DIY capsule wardrobe one stitch at a time! As you already know – I made myself a sewing “to do list” that consists out of 5 garments and is due to Sept 30th. Well, I must admit, I am at a pretty good pace. This grey pencil skirt is a second project I may, so I can say I am almost half-way done. Pencil skirt is one of the basic essentials of the business wardrobe, as well as one of the first items to begin your sewing with. Pattern is pretty straight forward and there is nothing too difficult to it, but it dues include some tricks. Pressing darts, adding lining and inserting invisible zipper – that all takes time, patience and practice. So let’s get to it! 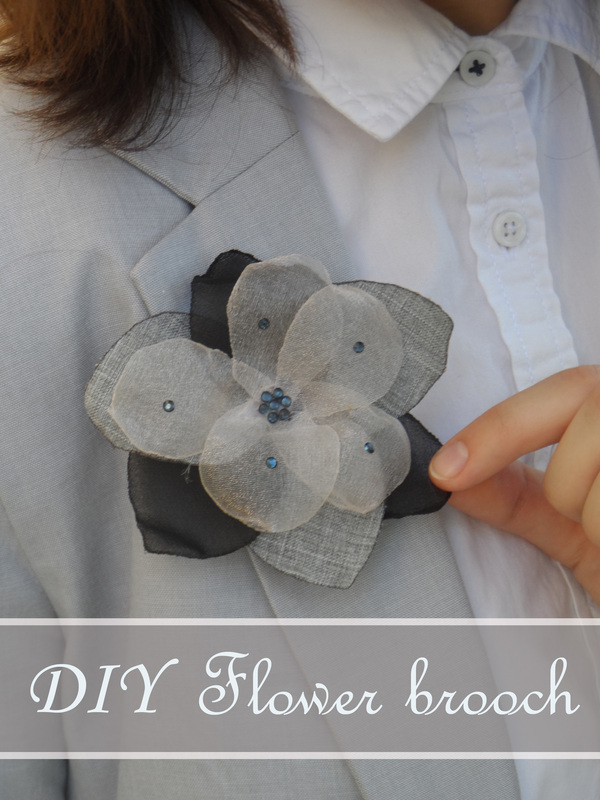 Additions: DIY flower brooch, find how to make it here! Pattern features only 4 darts, 2 seams and invisible zipper insertion. It was my choice to add black lining – that way I was 100% sure it won’t be see through. I omitted the waistband, instead I finished the waist edge with a narrow seam that worked out perfectly. Remember – finish your seams, press them open. I love this skirt pattern, despite every possible worry that I had about sewing a pencil skirt – it does fit me wonderfully and lucky enough – only one adjustment, skirt length. Other than that – it is a pretty good and basic pattern, after you make the first one and you’re happy with it – you can carry on with adding ruffle and buttons and all sorts of other fun stuff. 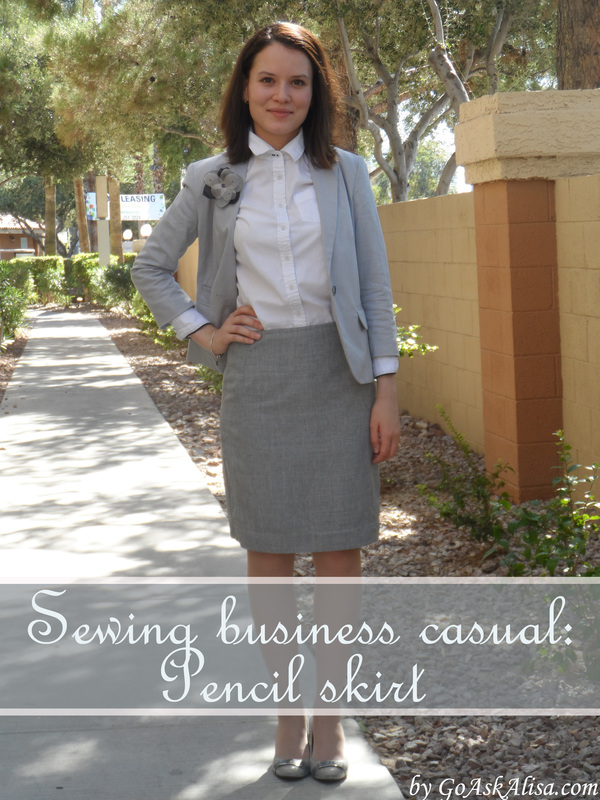 I hope you enjoy sewing just as much as I do, besides sewing business casual can be just as much fun! I love the silver bracelet that we can see in the last shot (invisible zipper), is it a pandora bracelet? Actually that’s what I like about it! A lot of the charms are very cylindrical and I find they end up looking like large bangles rather than delicate bracelets when people put too many charms on them! 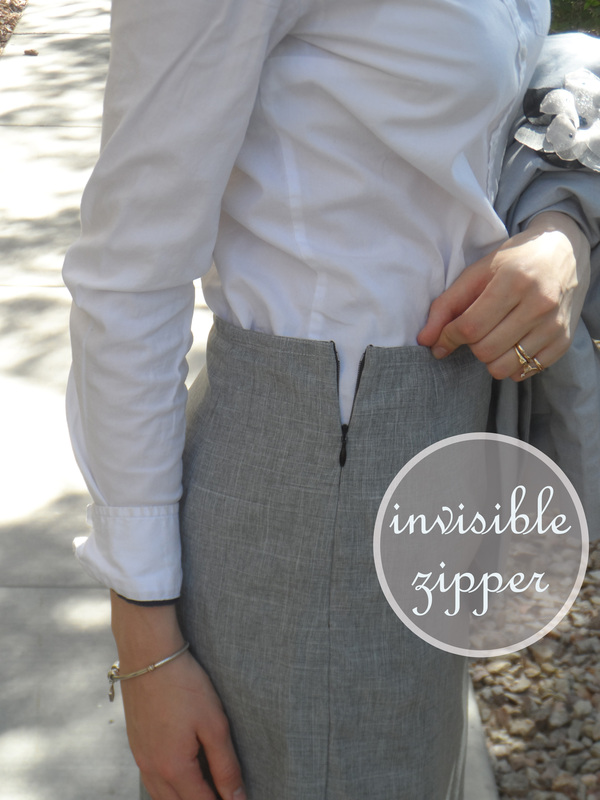 Your invisible zipper looks perfect! Nice basic skirt! Previous Previous post: Top 50 fashion sewing bloggers! Are you in?! Next Next post: Wordless Wednesday: greetings from Las Vegas!